Create your own therapy sanctuary in your home and get that relaxation and stress relief that you deserve. 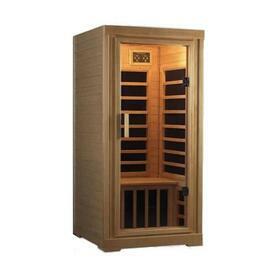 Family Leisure has infrared indoor saunas on sale and Free Shipping. 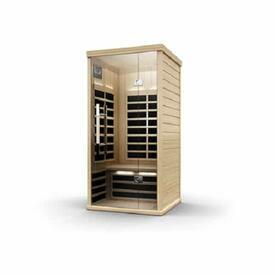 A one person sauna is great for body and mind and will surely help to ease your sore muscles. Easily plugged into a standard 110v outlet and easy to assemble, makes this the perfect addition to any room. Extremely efficient and surprisingly affordable; it is easy to see why these compact models are so popular.